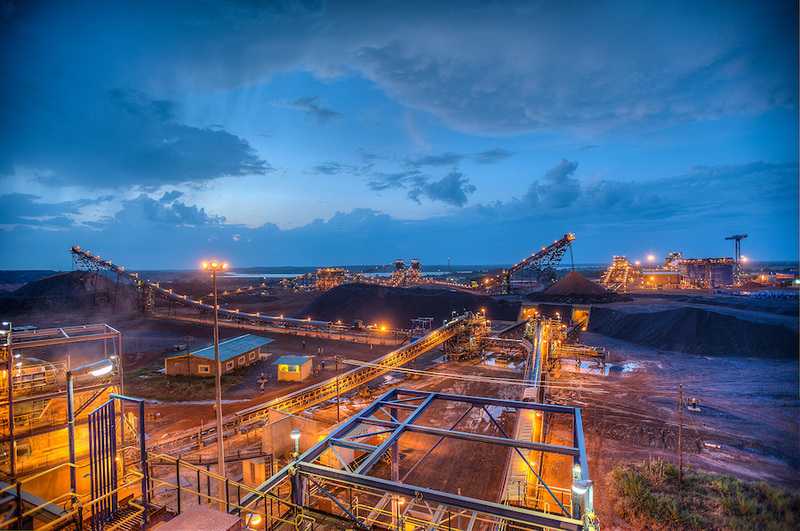 Randgold Resources (LON:RSS) said Tuesday an ongoing strike by its subcontractor’s workforce at Tongon gold mine in the Ivory Coast, has started to hit operations. Tongon is expected to get back to full capacity with the assistance of the authorities, although it would be a challenge to recover the lost production. As a result, the Africa-focused gold producer is now not sure the operation will achieve its 290,000-ounce production forecast for the year, though CEO and co-founder Mark Bristow said Randgold's group outlook for 2018 remained within the guidance of 1.3-1.35 million ounces. Tongon is currently processing ore from the run-of-mine and scats stockpiles, and while operations are expected to get back to full capacity, the challenge will be recovering the lost production, Randgold said. The operation was out of action about a year ago for five days following an illegal sit-in related to ex-gratia payments. The reason for today’s industrial action was not disclosed. Tongon, which is made up of two open pits, achieved in 2017 a 11% increase in gold production to 288,680 ounces and a 12% reduction in total cash costs to $676 per ounce. Based on current reserves, however, the mine has just over three years of productive life left. Investors seemed unaffected by the news as shares were trading 1.73% higher to 5,984 p by 1:53 p.m. GMT, though the stock is among the worst in the industry, having lost 20% of its value so far this year. Randgold gained notoriety on its ability to move forward complex projects in remote locations, but recently it’s faced challenges in most of the countries where it operates – Mali, Ivory Coast, Democratic Republic of Congo and Senegal. In Mali, the miner is in a long-running dispute with the government over a claim of as much as $200 million in back-taxes. The row resulted in the company’s Bamako offices and bank accounts being closed by authorities in December, after which the miner agreed to pay the Malian government 15 billion CFA francs (about $25 million) to help resolve the issue. In Congo, Randgold has been the most vocal opponent of a new mining code, with Bristow often acting as spokesman for the industry and even threatening to take its case to the International Court of Arbitration, a move that would raise the cost of doing business in the central African country. 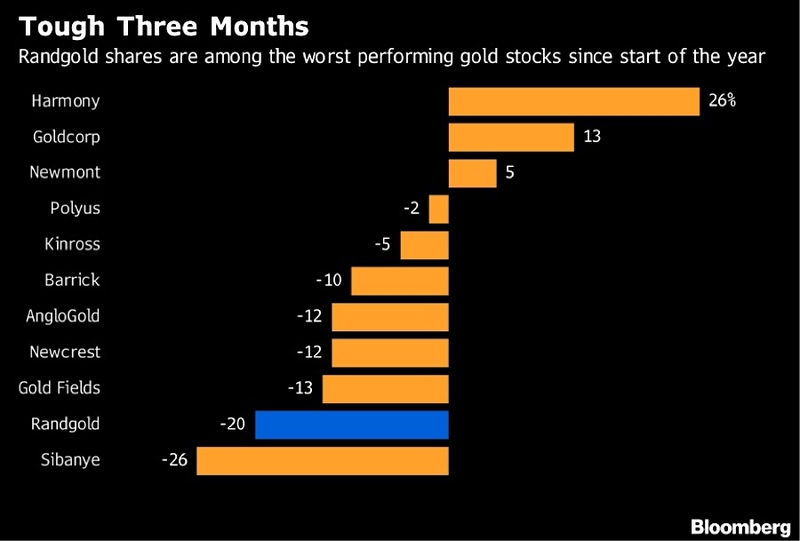 Randgold also declared force majeure in February at its Moku-Beverendi gold project in Congo’s northeast, which was jointly developing with Israeli billionaire Dan Gertler, as the entrepreneur's Fleurette Group was sanctioned by the US over alleged corruption.